Gameshow 4.5.0 on macOS 10.12.6. Both of the "Dynamics" show nothing in the window. Neither of them are working correctly, either—the effects aren't being applied. I've noticed that if I remove the bottom (2nd on the list) FX and save, then quit and re-launch Gameshow, I'll still have 2 Dynamics FX, and both windows will continue to be blank. 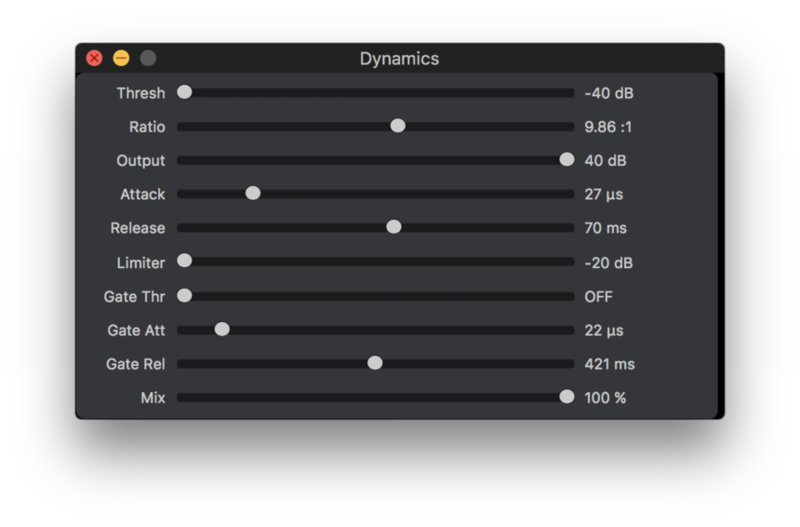 However, if I remove the first Dynamics FX instead, saving and relaunching will show that all audio FX are removed. Obviously this makes Gameshow nearly unusable for me—the only way to utilize Audio FX is to set them up every single time the application is launched, which is extremely time-consuming. Every other aspect of Gameshow is saving correctly—shots, objects, even the audio sources themselves. But it duplicates my audio FX and leaves me unable to edit them (and renders them disabled in the process). It's also worth noting that once I've relaunched Gameshow and have the "blank FX window" problem, even adding new FX doesn't work, since they all give me a blank window. I've had this problem across multiple audio sources, and simultaneously. Hopefully I can get some help! Thanks! I had this problem too, and when I e-mailed, i was asked about the computer. Still no fix in sight, and I hate how common this problem is in tandem with no solution. My mic works fine, but the desktop audio never works after initial set-up. I had this problem too, and when I e-mailed, i was asked about the computer. Did you give them the information they requested? the desktop audio never works after initial set-up. I'm not sure what you mean by this. It's not clear when it stops working.